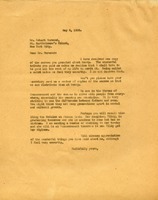 Berry provides instructions for entertaining commencement guests and hopes that arrangements at the Girls School will be better organized than last year. 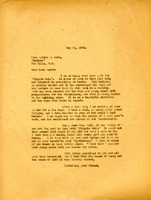 A letter written by Martha Berry to Miss Day of the Wheeler School about sharing some pictures during speaking engagements. 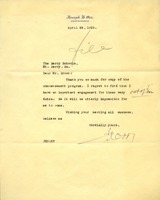 Berry assures Dr. Vance that she can send a car to Kingston to pick him up. Dr. Vance is attending the commencement at the Berry Schools. 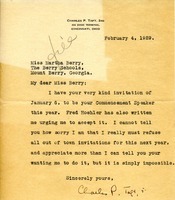 Martha Berry remarks on her surprise at receiving a letter from Piedmont. She says that she cannot sent Martha to visit Mary because she is so responsible for keeping the children safe while they are under her care at the schools. She also discourages Mary from writing Martha so often because she is worried that Martha will become dissatisfied and want to leave the Berry Schools. 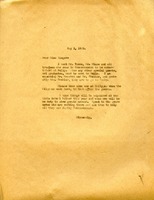 She invites Mary to come back to Commencement. 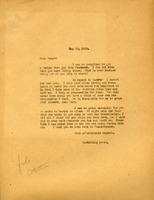 Miss Berry writes on behalf of the graduating class to ask Mr. Taft to be the Commencement Speaker. 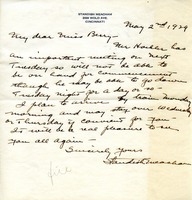 Miss Berry writes to inform Mrs. Sieber that she will only be in Gadsden for a few hours but would be glad to see her and her family, and express her desire that the Siebers will attend the Commencement exercises. 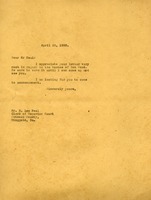 Mr. Orr thanks Mr. Green for the copy of the commencement program, but regrets to say that it is impossible for him to come. 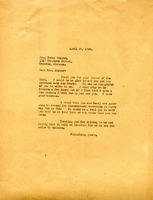 Martha Berry writes Dr. Robert Norwood thanking him for the sermon he wrote about her. 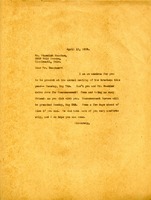 She asks him to send her more copies that can be distributed. She also tells him about the upcoming commencement which brings together people from all over the region. 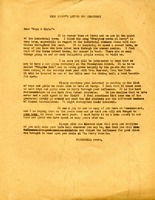 Miss Berry's letter to "Boys and Girls" giving them an quarterly letter. 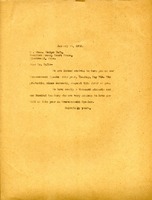 Provides updates of the institute. 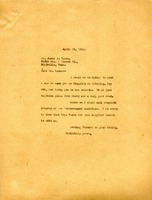 Martha writes to Mr. Meacham delighted at the prospect of having him at Commencement, and encloses a general program of the exercises. 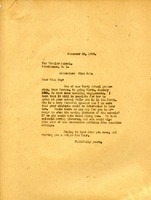 Martha Berry writes Mrs. Ladd to thank her for her contribution to "Pilgrim Hall."